Working on the computer, using different gadgets, watching TV, reading newspapers, driving a car and other factors of life in modern society are responsible for the increased pressure on eyes. In this respect, more and more people of different ages are suffering from eye fatigue, foggy vision, hyperemia (reddening of eye mucosa) and other symptoms. Japanese new generation eye drops contain not only moistening agents but also vitamins intended for eye nutrition, as well as anti-inflammatory components and ingredients immediately improving visual acuity. The absence of vasoconstrictive action and addiction makes it much more effective than regular eye drops. That is why it is possible to use the product every day. Eco Vi eye drops are intended for «morning» discomfort relief. Dust, dry air, constant eyestrain, lack of moisture — all these factors trigger eye inflammation. Eyes are restored during the night, but inner resources of our body sometimes are not enough for full rest. Help your eyes to «wake up»! Eco Vi drops contain phytogenic components: berberin and licorice extract that have been used in Chinese medicine since long time ago to fight against inflammatory processes. Put 1 to 3 drops in each eye, not more than 3 to 6 times a day. Drops are suitable for every day usage. Berberin (Berberine Sulfate Hydrate) is a phytogenic anti-inflammatory agent, antiseptic, removes swelling. Licorice extract (Dipotassium Glycyrrhizinate) is used to treat inflammatory and allergic eye diseases: conjunctivitis, etc. Chlorpheniramine maleate relieves itching and allergy symptoms . One of the oldest and safest antihistamines. Vitamin B6 (Pyridoxine hydrochloride) stimulates metabolism, has a positive effect on acuity of vision, normalizes blood circulation. Chondroitin sulfate sodium protects eye cornea. Chondroitin’s characteristic is its ability to hold water. 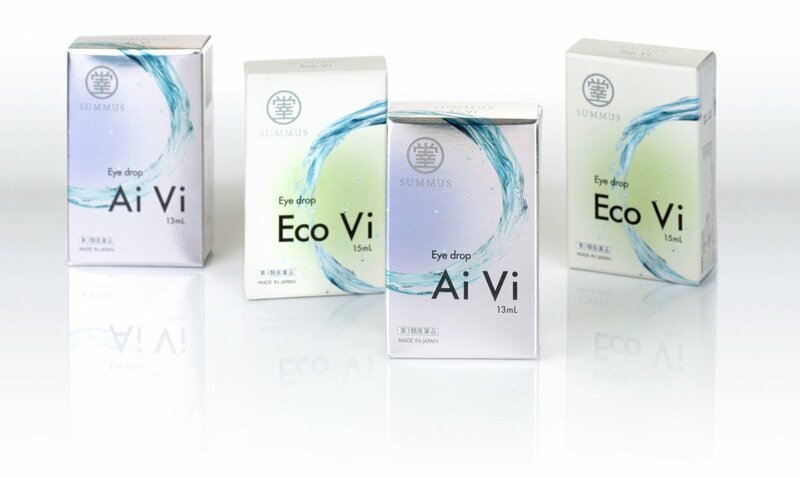 Due to vitamins В12, Е, В6 and other active components, Ai Vi drops improve blood circulation in eyeball tissues, help to saturate with nutrients and relieve symptoms caused by excessive pressure on eyes. Inflammation caused by contact with water during swimming or with dust, sweat getting into the eye. Vitamin В12 (Cyanocobalamin) improves eye accommodative ability, relieves fatigue. This product is colored red due to vitamin В12. Vitamin В6 (Pyridoxine hydrochloride) stimulates metabolism in eye tissues. Vitamin E (Tocopherol acetate) improves peripheric circulation, stimulates the supply of nutrients to eye tissues. Potassium and magnesium L-aspartate provides eye tissues with the necessary nutrients: magnesium and potassium. These two minerals play important part in the cells and tissue health. They are very important for keeping blood vessels healthy and functioning. Chondroitin sulfate sodium keeps moisture in eye cornea, prevents from dryness. Chlorpheniramine maleate soothes itching symptoms. One of the strongest antihistamines (antiallergic agents). Eye drops are intended to be used individually. Do not use them together with other people. Children should use the drops only under their parents supervision. Keep the bottle tip from touching eyelids and eyelashes. Do not use the drops if they got muddy and there is residue at the bottom of the bottle. Do not use the drops while wearing soft contact lenses. Remove the lenses, use the product and then put the lenses on in 15 minutes after instilling. Keep the drops tightly closed, in a cool place protected from direct sunlight and away from children and pets. Do not pour the drops into any other container, it can result in misuse or alter the product properties. Do not use the product after expiration date. After unpacking, use it as quickly as possible before expiration date. Depending on storage condition, the product components may crystallize on the bottle tip or on the cap. In this case, carefully remove the solidified particles using clean fabric cloth. Consult the specialist before using the product. You’ve had allergic reaction to medication. You suffer from pain in the eyes. You’ve been diagnosed with glaucoma. Hives, skin reddening and itching. Hyperemia (reddening), itching, swollen eye mucosa. «Foggy vision» symptom has not disappeared. Any symptoms specified in indications for sure have not disappeared after 2 weeks of using the drops.